A leader in advanced surgical techniques, Dr. Rochman is a native New Yorker and a Board-Certified Surgeon. He is the founder and Medical Director of Advanced Vein Care Solutions, Long Island’s premier establishment exclusively dedicated to the treatment of venous disease. With over a decade of experience within the medical field, Dr. Rochman focuses his attention on advanced vein care techniques, specializing in the latest varicose and spider vein procedures. 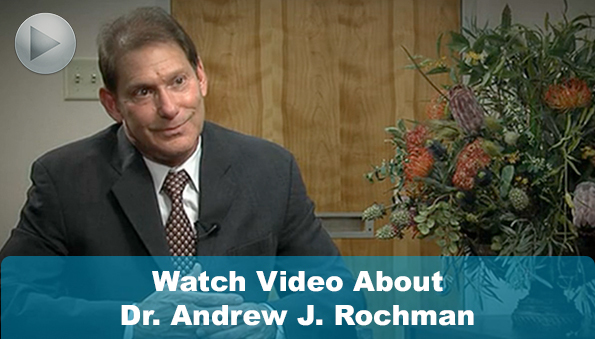 Dr. Rochman is a graduate of Colgate University and received his formal medical training from Nordestana University. Having completed medical school he served as a rotating intern at Long Island College Hospital and then as a surgical resident at Maimonides Medical Center. He rounded out his training as a General Surgical Fellow at Maimonides before realizing his dream of joining his father in the practice of general surgery. He is an active member of the American Medical Association, the Medical Society of the State of New York, Nassau County Medical Society and the American College of Phlebology. He regularly attends national and international meetings dedicated to the practice of Phlebology in order to keep abreast of the many advances in the field. Regarded as Long Island’s preeminent authority on the treatment of venous disease, Dr. Rochman and Advanced Vein Care Solutions are the only physician and practice on Long Island to be verified and approved by Best Vein Care, the vein industry’s leading verification body. Dr. Rochman has created a modern and comprehensive environment at Advanced Vein Care Solutions which he continuously endeavors to maintain and improve. His goal is to provide a comfortable and safe environment in which his patients can achieve their goals of improving the function and appearance of their legs.